I wish I had a great story about starting Stay Clean Carpet Cleaning & Upholstery after trekking through the Himalayas and having a mystic encounter with a Sherpa, in which I had visions of starting a carpet & upholstery cleaning business to service the Wollongong region because it was my destiny, my life purpose even, but I don’t. 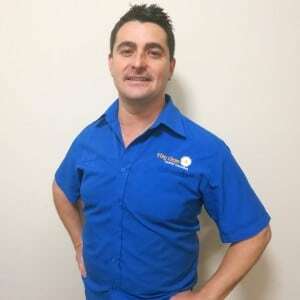 I can’t even tell you a tale about how the business started from a small niggling idea to establish the most professional carpet and upholstery cleaning business that the Illawarra has ever seen, because for me it didn’t. You see although Stay Clean Carpet Cleaning & Upholstery has been around since 2009, I took over the business on 1 July 2014 with one objective, one goal, to continue being self-employed! For as long as I can remember I’ve dreamt of being my own boss. Initially life didn’t go as planned. I finished Year 12 in 1995 and had a gap half year before joining the thousands of other Wollongonians that commute to Sydney for work every day. Don’t get me wrong, even though I wasn’t living my dream and some days were tougher than others to get out of bed to go to work (especially in winter, brrr) in those many years of commuting I made great friends, had many fun times and even met my future wife! Then in 2005 my dream became a reality! I decided, sorry my wife (we got married in 2003) and I decided, to look at business opportunities and by April of that same year we became the only franchisees in New South Wales for No-Wet Waterless Car Clean, an innovative business which used encapsulation technology (same technology I now use to clean carpet & upholstery) to clean cars without water! Fast forward 9 years to 2014 and 2 beautiful daughters later (Matilda & Ruby), and I was looking for my next challenge, my next self-employed adventure and that’s where my Stay Clean Carpet Cleaning & Upholstery journey started. I’ve now been living my dream for over 10 years and my passion & zest for being self-employed has only gotten stronger thanks to the many wonderful people I meet every day. Many have become loyal regular customers and I look forward to continuing to serve the wonderful people and businesses of Wollongong and the Illawarra for many years to come. Without my customers I wouldn’t be living my dream and for them I am grateful.